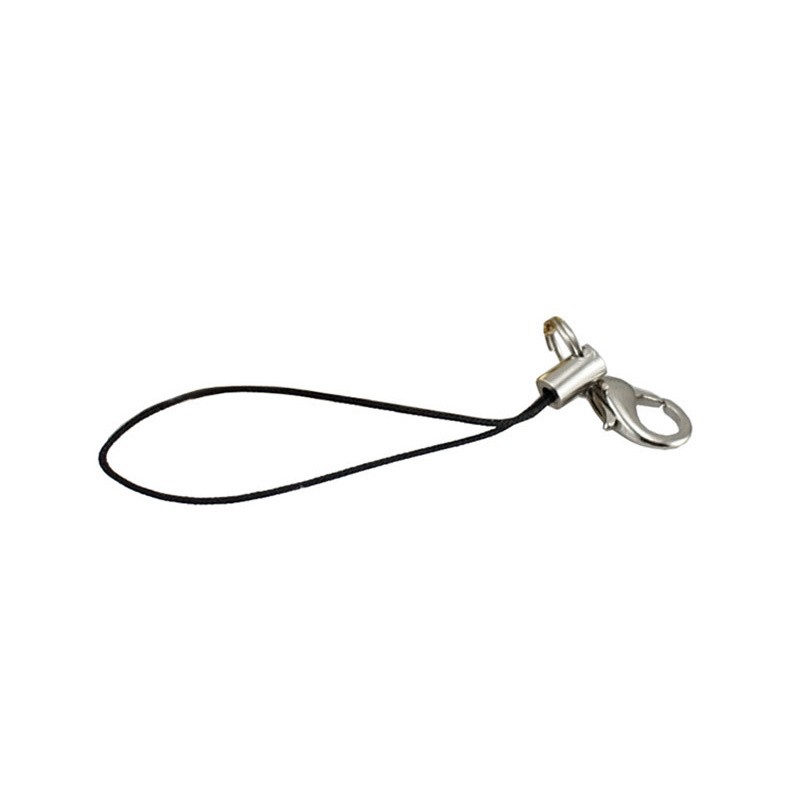 Metal carabiner with a string in black. With the help of a sliding mechanism, it allows you to attach the Pendrive to a set of keys, advertising strings or a telephone easily and simply. Available only with USB memory models with a special circular catch.